Woollyhugs > Latest.. > Auction > Spring Auction 2018 > Item 51. Super gorgeous tote bag in Stylecraft chunky. Item 51. 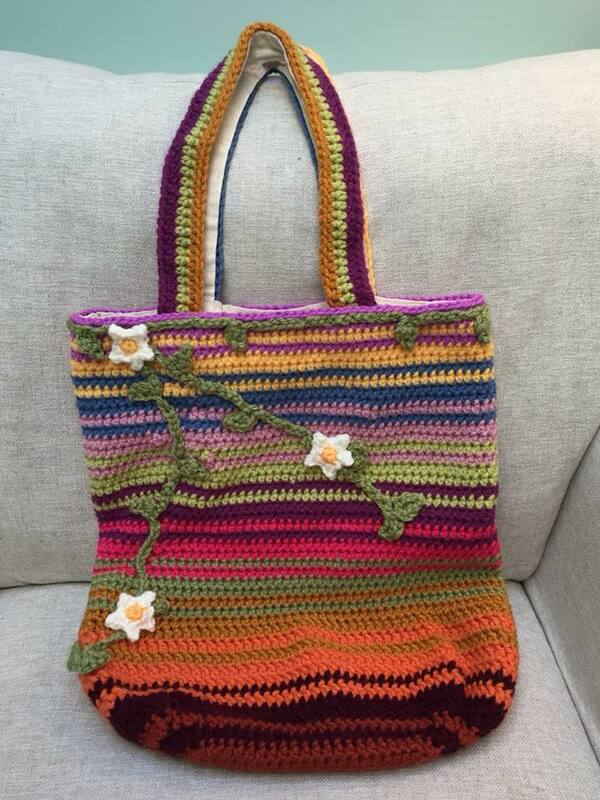 Super gorgeous tote bag in Stylecraft chunky. 51) Super gorgeous tote bag in Stylecraft chunky. Fully lined in cotton fabric. It measures approx 35cm by 40cm and the handles are approximately 50cm. It’s fantastic! Item 31. Fantastic Beasts collection. Item 55. Awwww, look, Tis Woolly Dolly!